I greatly appreciate the thought-provoking views that have been shared through this virtual symposium. Let me add my expression of thanks to Michael Madison for getting this launched, to Dan Rodriguez for facilitating the symposium, and to all of the participants for sharing their insights. I write to highlight three points, connecting to some of the ideas expressed previously by others. My first point follows up on Mark Tushnet’s idea that law schools should be encouraged to pursue institutional pluralism. There certainly is some sense in which that is happening. Andrew Perlman highlights some of the efforts to foster greater integration of technology and to support innovation in which a number of law schools have been engaged. If one were to review carefully the Learning Outcomes Database I mentioned in my first post, one can also see some evidence there of institutional pluralism in terms of some distinctive learning outcomes that two or three or four dozen law schools have embraced. 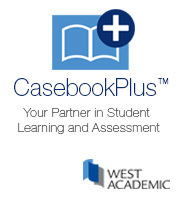 At the same time, however, the Learning Outcomes Database also provides some evidence suggesting a remarkable foundational similarity across law schools, with a few dozen law schools embracing just the basic learning outcomes mandated by the ABA. Indeed, I am struck that this virtual symposium is taking place concurrently with the release of the US News Rankings. While many people complain that the ABA Accreditation Standards constrain institutional pluralism, in my view, a much greater constraint on institutional pluralism is the set of incentives embedded within the US News Rankings system. As is often stated in the world of assessment, “what matters is what is measured.” Frank Pasquale made this point as well in noting the risks of managerialism. The various metrics on which the US News Rankings are based do not support the concept of institutional pluralism; rather they discourage institutional pluralism. My second point follows upon Hari Osofsky’s discussion of collaboration across many spectrums. While she argues briefly in favor of the importance of collaboration in faculty governance, I am not sure Dean Osofsky acknowledges the difficulties of fostering faculty collaboration. The biggest challenge to faculty collaboration is the academic culture we have fostered and sustained within legal education, which places profound emphasis on individualism grounded in a misunderstood conception of academic freedom. I do not think it is a great stretch to suggest that the vast majority of law schools do not have a collaborative faculty culture. Rather, the faculty function as a collection of independent contractors. How often at your law school do the people teaching Torts or Criminal Law or Property or Evidence talk with each other to make sure their students have comparable experiences in terms of course coverage, skill development, and professional identity development – the three apprenticeships discussed in Educating Lawyers? This is a different facet of the point Michelle Pistone made earlier about the composition of law school faculty. If we want to foster collaboration, we need to recruit and hire and mentor people inclined toward collaboration. I am not sure that is what we have been doing, for the most part, with our collective hiring decisions over the last two decades. This brings me to the third point. While I have found most of the contributions to this virtual symposium to be very thought-provoking, I have been struck by how little discussion there has been about learning outcomes. Whether people fully understand this or not, the most significant change in the ABA’s Accreditation Standards in the last two decades is the mandate that law schools develop learning outcomes for their graduates and then assess their students and graduates progress on those learning outcomes. This shift in accreditation from an input-based approach to an outcomes-based approach, if it is going to be taken seriously, requires that law schools embrace a more collaborative approach to legal education. The outcomes-based approach is a competency-based approach in which each law school collectively needs to make sure that its students and graduates are making progress in developing the various competencies the law school has identified within its learning outcomes. This is only going to happen if the faculty collaborate to assure that across a set of required and elective courses students and graduates receive opportunities to develop and demonstrate the identified competencies. For example, Michael Waterstone highlighted that law schools should be helping students and graduates develop an orientation toward life-long learning. To some extent, this can be captured within the concept of self-directed learning in which our students take ownership of their learning not only during law school but after law school. Of those law schools with published learning outcomes, roughly 50 law schools have identified self-directed learning as a learning outcome. But for those law schools to accomplish this learning objective, they are going to need to create curricular interventions to help students develop and assessment mechanisms to help students demonstrate self-directedness. Self-directedness might be a particularly vexing learning outcome for many law schools, given that the first year is generally a required curriculum (in which students get to assert limited autonomy or self-directedness). Moreover, for those students who do not do well in the “first-year tournament,” a common response appears to be disengagement and despair rather than a sense of agency and ownership in which students decide to become self-directed and begin the process of life-long learning. Without some direction and coaching – some intentionality among faculty and staff – I am not sure we can assume students will figure out how and why it is important for them to be self-directed within the new legal marketplace. For what it is worth, the Holloran Center for Ethical Leadership in the Professions at the University of St. Thomas School of Law is leading a collaborative effort to support greater emphasis on professional identity formation. This not only includes a series of summer workshops to which the Holloran Center has welcomed nearly 200 faculty and staff from 35 law schools over the past five years, but also a set of working groups that are trying to generate stage development rubrics and corresponding curricular tools and assessment mechanisms to support five professional identity formation learning outcomes that have been embraced by a significant minority of law schools. The competencies on which the working groups are focused are cultural competence, integrity, professionalism, self-directedness and teamwork/collaboration. We are hoping to see the fruit of this collaborative effort in the next year or two.